Description: Andritz Dupps Model 3624 Sludge Dewatering Press. Screw Dimensions: 36” X 286”. The press includes Drive Assembly with 50 HP AC Motor and Falk 2177 YN4-S gear reducer, Ratio: 772 to 1. Year 1992. Available drawings included. 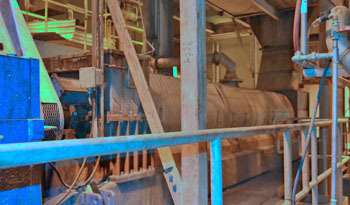 This press was used for dewatering paper mill waste water. 316 SS and in good condition.